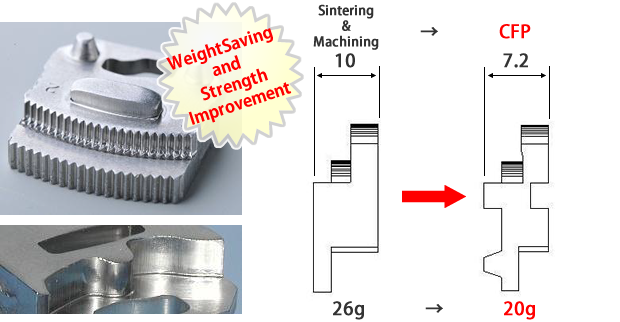 CFP is the innovative stamping method which combined Cold Forging and Progressive stamping. CFP replaces other methods such as sintering, machining and grinding and brings in large cost reduction. 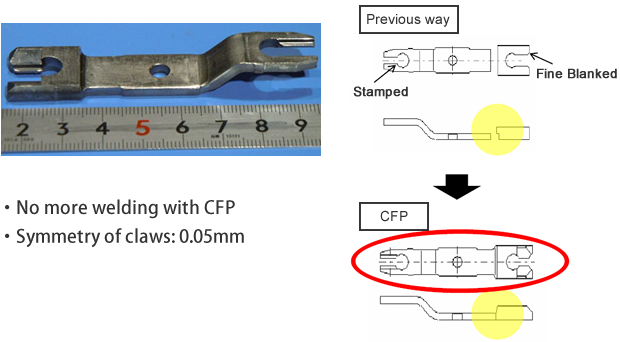 CFP tooling is developed, designed and made in-house. So it is very flexible to respond to customers’ request. CFP speedily produces complex shaped parts from sheet metal. This precision gear is manufactured in an Automation Line which covers blank carrier, stamping and cleaning so we can get the finished part. The high precision tooling has more than 20 stations in total and press machines are the ones customized with machine makers. 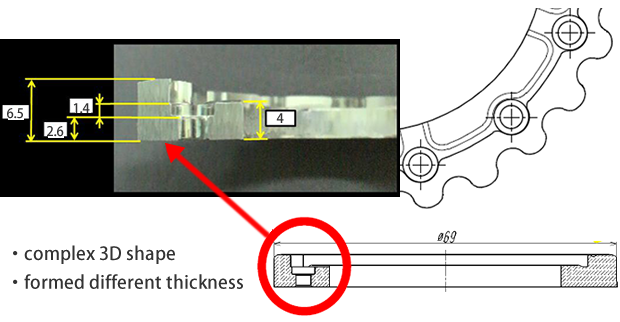 Furthermore, in order to achieve a part’s required tolerance, we must make the tooling accuracy less than a single micron. For this, those tooling parts are made by unique machines in the plant of which the temperature and vibration are strictly controlled. ※Please check here for details. 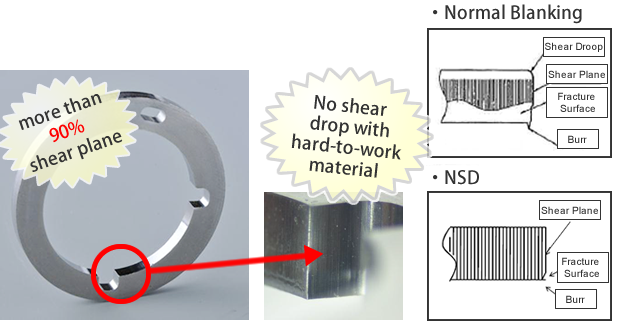 ※NSD stands for No shear Droop which controls Shear Droop occurred by blanking.